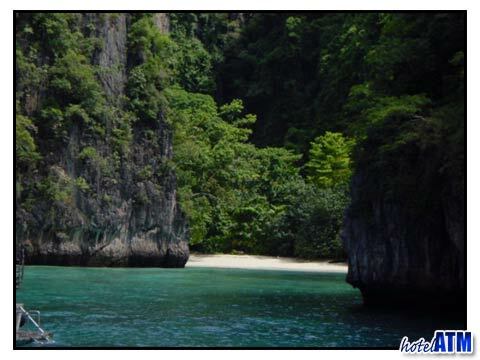 The Phi Phi day trip takes you around one of the most exotic tropical island locations in the World. This day trip promises the open seas, vast panoramas of the islands and the glorious scenery of Koh Phi Phi, perhaps Thailand's most celebrated archipelago. The Phi Phi day trip takes you from the deep green jungle on the Koh Phi Phi Don mountains, a host of famous bays and inlets to explore and snorkel and a selection of some of the finest beaches anywhere. There are many day trips to the islands and they range from the larger cruiser boats from Phuket and Krabi to the smaller and flexible longtail and speedboat tours that get you to some of the more remote settings. Maya Bay is the key high spot on most of the Phi Phi day trips . This almost perfect bay has 3 beaches and is famous for being the movie location for the Leonardo Di Caprio block buster 'The Beach'. Superb walls of cliffs covered with vines and teaming with wild life dominate the bay which is in itself a turquoise aquamarine playground of shallow sandy seas and coral reefs. Most tours stop here on the main beach or stay out on the mooring buoys so that they can get the best snorkeling on the long reef near the entrance. A Phi Phi day trip from Phi Phi often starts at the main pier of Phi Phi Don Village. Here, converted fishing boats (the large boat), speedboats and Longtail boats offer a selection of trips that will include Phi Phi Ley and the main sports of Viking Cave, Pi Ley, Loh Samah and Maya Bay. These tours also have the advantage of flexibility of start time with some tours even leaving in the afternoon. Phi Phi tours like this can be found at tours or if you are on the island and fancy a day trip go to Siam UK Travel and Tours. The Phi Phi day trip is dominated by the large cruise boats from Rasada Pier like the Sea Angel Cruise. This one day trip takes you from you hotel on the western beaches of Patong, Karon, Kata and Bangtao over the great Phuket highland range and down to the ferry terminal at Phuket town. The 1 hour 30 minute cruise takes you out past Maiton Island and the southern aspects of the glorious Phang Nga Bay. 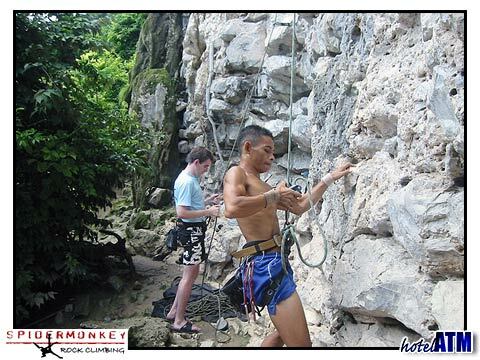 This cruise is a wonderful way to take in the tropical island scenery and visit the kewy locations on Phi Phi Island. The Phuket Phi Phi tour by Speedboat day trip has the same collection from the resort but gets you out to the island in a tremendous rush of speed. The quick 45 minute journey to Phi Phi Island gives you more time to explore some of the remoter coral reefs and beaches such as Monkey Beach and Bamboo Island. The Cruise Krabi to Phi Phi and the Krabi Phi Phi tour by Speedboat Phi Phi day trips mirror the Phuket tours except with the ever imposing Krabi landscape as the back drop. The Phrang Nga mountains, Railay Beach and Koh Boda and Chicken Island make for a dramatic trip out to Phi Phi, one of the finest sea cruises in Thailand.